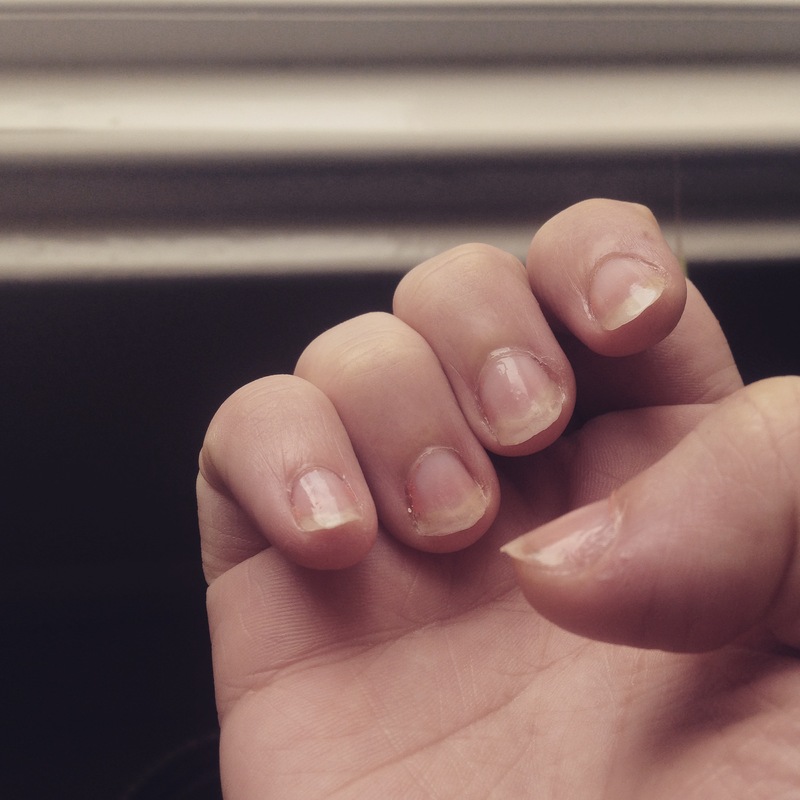 101 things in 1001 days: Stop Biting Nails for a month! Today’s post comes from a sick little bunny as I seem to have contracted what my mother would call a head cold. I’ve got a hacking cough, sore throat, headache, runny and blocked nose and I feel just a little bit rough but I’m feeling a little better today so I can’t complain to much. Today’s post is a lovely little 101 things in 1001 days and it’s been a long time coming. I’ve always been a bit of a nail biter, since before I can remember and it’s a disgusting habit. It’s a tendency that seems to have occurred through two paths; firstly being a cellist and secondly a rather long standing penchant to pick when I’m nervous. So number one, being a cellist or a string player at all you really need to have short to the bed nails. If you don’t the nails will hit the strings, will add different notes and will additionally make it a little messy. I remember a girl coming into the practice with false nails attached to the ends of her fingers. Our sectional leader was horrified and was less than amused with the girl’s efforts throughout the practice so biting them became a bit of a habit that I’ve never quite got out of. Laziness is all it is! The second is my terrible habit of picking when I’m nervous; if I’m having a bad day or I’m anxious about something I tend to pick at my nails and then often end up biting them. The rough edge on them then drives me nuts so I tear them down to the bit which then aches and hurts. It’s honestly a mixture of laziness and nervousness. So I’ve stopped biting them, in a word. It’s been a little bit of a challenge because it’s been so many years I tend to not even notice that I’m doing it anymore. I did try and do this last month but on a typically stressful day at work I ended up biting them to a pulp and then obviously had to start all over again. However, I think I’ve pretty much done it. 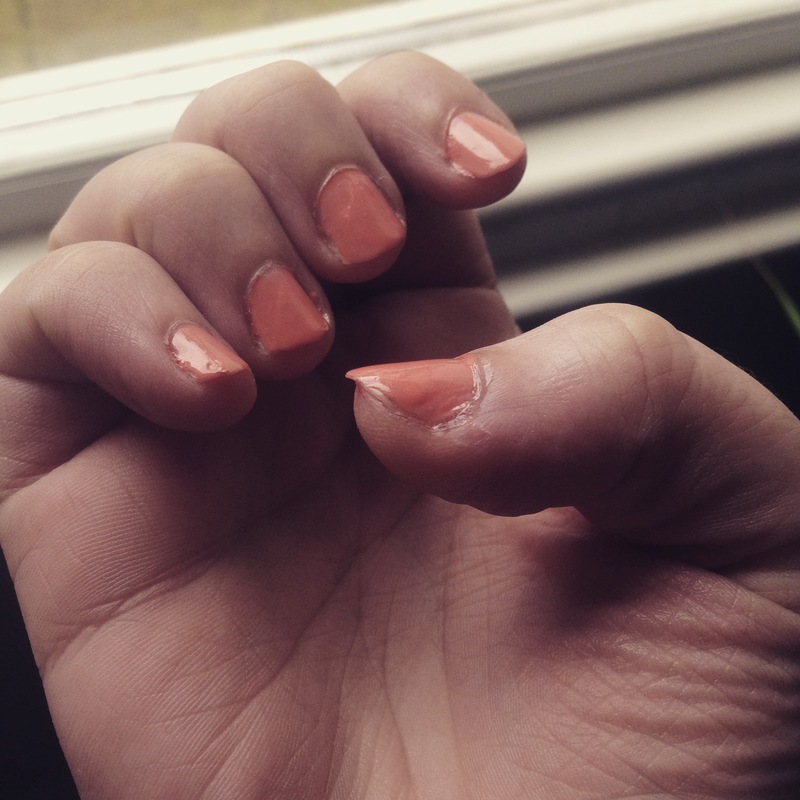 Last night I painted them with a clear undercoat and then I painted on two coats of a coral colour and they honestly look beautiful. The idea is to keep them clean, trimmed, polished and wonderfully lovely. A little extra care and a little lovelier. It’s a silly thing but they look rather gorgeous. I like the color you picked. The nervous habits are sometimes the hardest to break. Good on ya, mate! Yep. 🙂 How is it going, btw? Well, it seems you’ve been ill for a while! I how you continue to get better without needing to go. I don’t care to go to the doctor either!